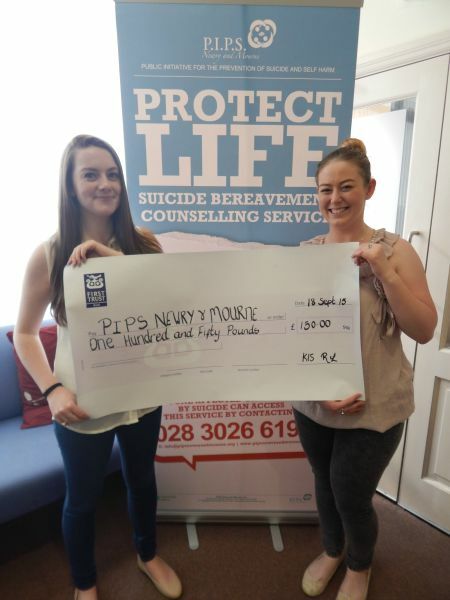 Kirsty-Louise Sarsfield and Rebecca Lynch took part in the 5k Annual Walk for PIPS Newry & Mourne on the 6th of September in Memory of Kirsty-Louises’ mum Sharon Sarsfield . The girls raised £150 for PIPS Newry & Mourne they would like thank everyone who sponsored them. PIPS Newry & Mourne would like to express sincere thanks to the girls for their continued support and their kind donation.